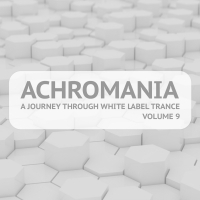 Achromania - A journey through White Label Trance, has reached its 9th edition. It includes the latest releases, as well as some banging classics. Shaping up to be a major player in the world of tech-trance, psy-trance and psy-tek, we present 15 tracks and remixes from artists including Laura May, John Askew, Lee Haslam, Ciro Visone, Neos and Liam Wilson. The sounds defy the laws of conventionality, the artists defy the laws of conformity. This is the sound of white label trance - This is the sound of Discover White Label. 'Achromania - A Journey Through White Label Trance, Vol. 9' is available now from Beatport and iTunes.